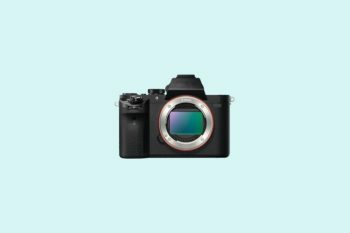 The Sony Alpha 6000 is one of the most popular mirrorless system cameras and a perfect choice for beginners as well as advanced photographers. 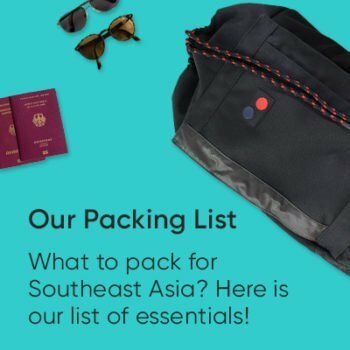 The Alpha 6000 was part of our travel photography equipment during our six months traveling through Southeast Asia. Since we were very satisfied with the camera, we recommend the Alpha 6000 as the best system camera for beginners in our camera buying guide. One of the downsides that’s often listed for this camera is the limited range of available lenses. But that simply isn’t true anymore, because there are a considerable number of lenses available for the Alpha 6000 nowadays. 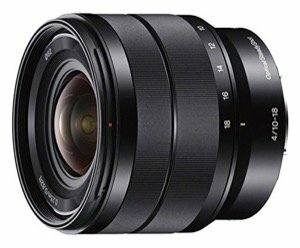 Third-party manufacturers such as Tamron and Sigma now also offer lenses for the Sony Alpha 6000. In this post, we’ll give you an overview of recommended lenses for the E-mount lens mount used for the Alpha 6000. 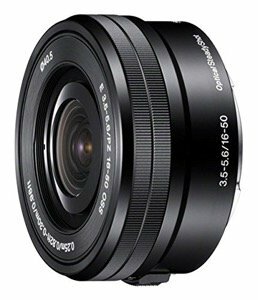 All the lenses recommended here can also be used for the Sony Alpha 5000, Alpha 5100, the all-new Alpha 6300, and the Sony NEX series cameras. We’ve sorted the lenses by zoom and fixed focal length lenses. You can use the table of contents to jump directly to the lenses of your choice. The range of zoom lenses with a Sony E-mount is still quite limited. Nevertheless, now you can get a suitable zoom lens for almost every purpose. Many people buy this lens directly in a kit with the Alpha 6000. Even though kit lenses generally don’t have the best reputation, we think they’re a very good solution when you’re just starting out. The kit lens is a good choice for beginners who are taking their first steps in photography with the Sony Alpha 6000. The focal length of 16-50 mm is fine for most applications and the aperture of f/3.5 to f/5.6 is perfectly OK for a zoom lens in this price class. A big advantage is the very compact design and the light weight of the lens, which is just under 120 grams. 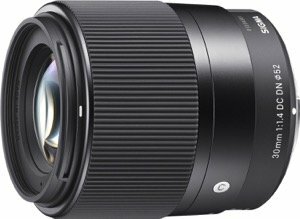 The recommended retail price for this lens is 349 euros, but you should generally be able to get one for less than 300 euros. Buying it separately doesn’t make that much sense though, because it’s much cheaper in a kit with the camera. The Sony SEL1855 used to be sold in a kit with the Alpha 6000, but now it’s only available as a stand-alone lens. As a beginner’s lens, the Sony SEL1855 is a real alternative to the kit lens presented above. This lens generally gets better reviews than the 16-50 mm in tests and user ratings. We had this lens on our trip to Asia and were very satisfied with it. It has a slightly higher zoom range than the current kit lens, but it’s also much larger. It also costs slightly less than the other lens – definitely very good value for money. 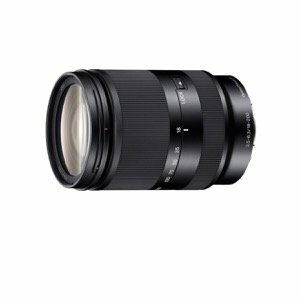 For more demanding applications, the Sony SEL1670 is the best zoom lens choice for Sony E-mount cameras. The zoom range of 16-70 mm leaves almost nothing to be desired. The lens has an aperture of f/4 and a high quality Zeiss lens. But at just over 300 grams, it isn’t as light as the two cheaper models. And at around 900 euros, it isn’t exactly a lightweight in terms of pricing either. This lens is certainly the highest quality zoom lens you can get for the Sony Alpha 6000. 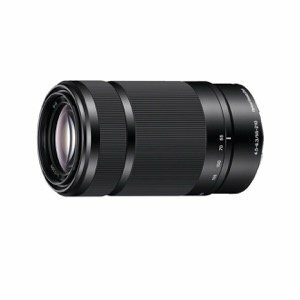 The Sony SELP18105G offers the highest zoom range of the Sony’s home-brand lenses with a focal length of 18-105 mm. An aperture of f/4 is pretty impressive, especially in the high zoom ranges. The lens is pretty heavy at 426 grams. It’s priced at around 500-600 euros, which is a pretty good deal for this lens. The focal range is suitable for almost any shot. And you can probably save yourself the trouble of changing lenses with the travel zoom. At about 450 grams, the lens is obviously very heavy and you should definitely consider whether you really want to lug around such a juggernaut of a lens on the comparatively tiny Sony Alpha 6000. If that isn’t a problem for you, this lens definitely isn’t a bad choice. It’s priced at around 600 euros. 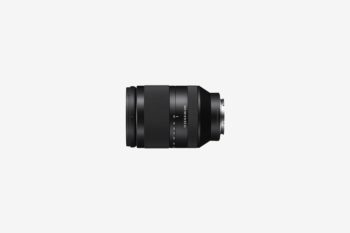 A nearly identical travel zoom lens is also available from Sony itself. There are no huge differences to the Tamron lens. 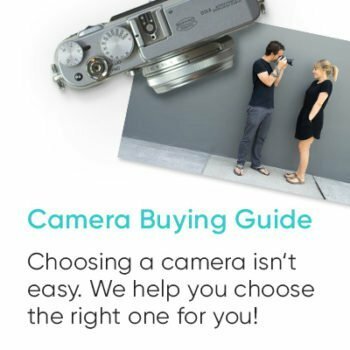 Which of the two you choose is ultimately a matter of taste – or you could simply pick the lens that’s cheaper at the moment. 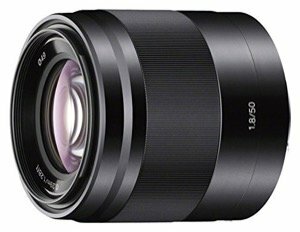 The Sony travel zoom lens currently costs around 680 euros. 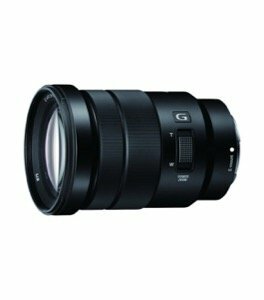 Sony also offers the 18-200 mm as a specialized version for recording videos. The special version Sony SELP18200 has extra control elements for a particularly soft video zoom, but unfortunately it also costs a bit more, i.e. around 1000 euros. If I had to pick a wide-angle lens for the Alpha 6000, then I’d definitely choose the Sony SEL1018. As the name suggests, it has a focal length of 10-18 mm and a lens speed of f/4. 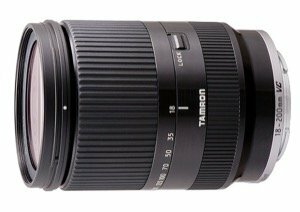 Reviews for this lens are almost universally very good. But as so often, quality has its price, which in this case means an RRP of 849 euros. The range of telephoto lenses for the Sony Alpha 6000 is somewhat limited. A relatively cheap but still good alternative is the Sony SEL55210. You can do quite a lot with a focal length of up to 210 mm. The aperture isn’t that great at f/4.5-6.3, but a price of around 300 euros goes a long way to make up for that. Of course, you have to ask yourself whether it makes sense to use a telephoto lens and a normal lens for the Alpha 6000, or if it isn’t easier to just buy one of the two travel zoom lenses presented above. Personally, I’d rather opt for a slightly more expensive travel zoom lens than buy a cheap normal lens and this telephoto lens. When it comes to prime lenses with fixed focal lengths, the selection for the Sony Alpha 6000 is significantly greater. Third-party manufacturers such as Sigma and Samyang in particular have a pretty large range in this segment. The lower-priced prime lenses for the Alpha 6000 generally don’t have an integrated image stabilizer. But then you can pick up one of those lenses for just over 100 euros. Wide-angle prime lenses up to about 24 mm are particularly suitable for architecture and landscape photography. The selection of prime lenses in the wide-angle range is significantly greater than in the zoom range. 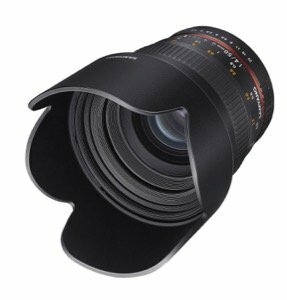 Korean manufacturer Samyang offers a 12 mm wide angle lens with an aperture of f/2.0 and a great wide angle with very high image quality. 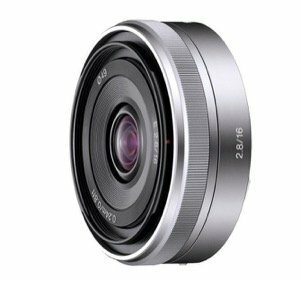 This lens is more suitable for advanced photographers because it has no autofocus. That means you have to focus manually, and the aperture is also set directly on the lens. In some countries, Samyang lenses are also marketed under the brand name Walimex. 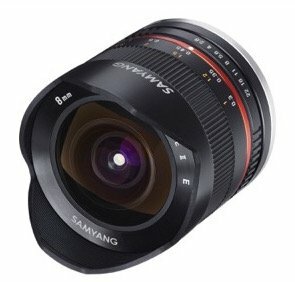 Samyang and Walimex lenses are absolutely identical. So you should always opt for the cheaper lens. 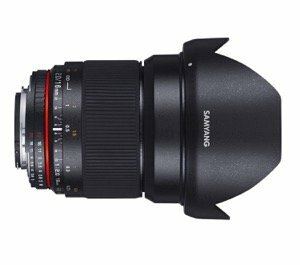 Samyang is usually a bit cheaper, so we’ve always linked to the Samyang lenses in this post. The price for this lens is usually in the range of 350 to 400 euros. 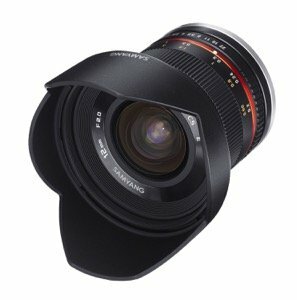 Samyang also offers a 16 mm fixed focal length lens. The other features are hardly any different from the 12 mm lens. If you’d prefer a slightly reduced wide angle, this lens is a good choice. 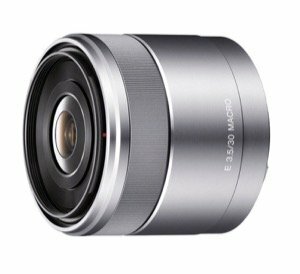 Overall, it’s also designed to deliver a slightly better image quality than the 12 mm lens. It’s also priced a little higher at 400 euros. The Sony SEL16F28 is a real lightweight. As a so-called pancake lens, it’s extremely flat and light. It’s priced at around 250 euros. The lens is only available in silver, there’s no black version. 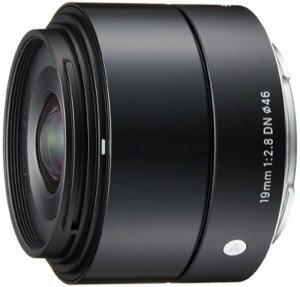 The Sigma 19 mm, f/2.8 is a cheap, but still very high-quality prime lens and is also part of our repertoire. The lens is very light (160 grams) and offers a very good imaging performance. Even though the lens speed of f/2.8 isn’t outstanding for a prime lens, we’d still highly recommend buying it at a price of under 200 euros. Like the 16 mm series presented above, the Sony SEL20F28 is an extremely narrow pancake lens. This lens is only available in black and costs just under 300 euros. 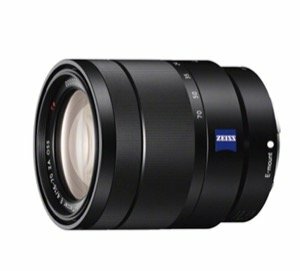 The Sony SEL24F18Z with a Zeiss lens is the premium lens among the wide-angle prime lenses. It’s priced at around 800-900 euros. But it excels with outstanding image quality and an exceptionally fast lens speed of f/1.8. If you want to treat yourself and your camera to something really special, then this would be a great choice. Normal lenses with focal lengths between 30 and 35 mm are a very good introduction to the world of prime lenses. Photos with a focal length of 35 mm approximately correspond to the normal human field of view. These lenses are suitable for almost all purposes. We like to use them for street, reportage, and portrait shots. 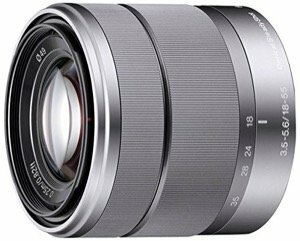 The Sigma 30 mm f/2.8 is a very good lens for beginners. It only costs about 150 euros, so you can’t really go wrong with it. The picture quality is more than okay for that price. The aperture of f/2.8 isn’t exactly amazing for a prime lens, but considering the price, you can’t really complain. Sigma also has another 30 mm prime lens in its product range and it’s quite something. 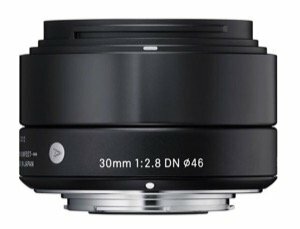 The Sigma 30 mm F1.4 DC DN has a lens speed of f/1.4. That’s really good for a price of just 400 euros. Of course, you have to accept a few minor imperfections, e.g. this lens doesn’t have an integrated image stabilizer. But it’s still really great value for money! 35 mm is our favorite focal length and the Sony SEL35F18 provides great value for money. The lens speed of f/1.8 is very good and the price of around 400 euros is still relatively low. Prime lenses with a fixed focal length of about 50 to 85 mm are particularly well-suited for portrait photography. There is a wide range of lenses for the Sony Alpha 6000 in this segment as well. With the Sony SEL50F18B, Sony offers a very nice standard lens for the portrait range. The aperture of f/1.8 allows you to shoot with a very low depth of field. The quality of the pictures is good, the photos have a nice bokeh, and it’s a bargain at a price of about 270 euros. 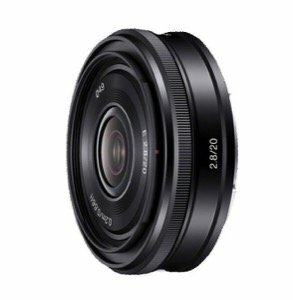 Samyang also offers a 50 mm lens for the Sony Alpha 6000. For about 400 euros, it offers a lens speed of f/1.4 and a very high picture quality. However, you have to focus manually and adjust the aperture on the lens. With its 60 mm f/2.8 lens, Sigma offers a good and inexpensive alternative in the portrait range. Its lens speed of f/2.8 isn’t quite as fast as the Sony lens. But the price of this lens considerably lower than the Sony at less than 200 euros. 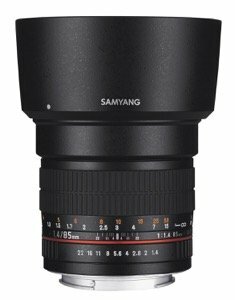 Samyang also offers a portrait focal length lens with an outstanding price-performance ratio. For just over 300 euros, you get a lens with an impressive speed of f/1.4. 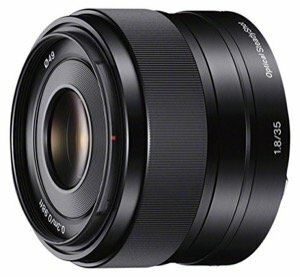 The lens is no lightweight at 600 grams and like all Samyang lenses for Sony E-mount, it comes without an autofocus. If that isn’t a deal breaker for you, then this lens is a truly excellent choice. 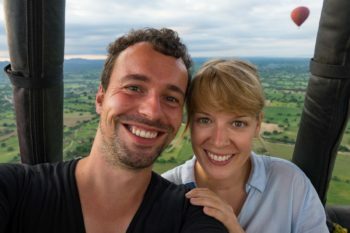 A fisheye is certainly no lens for everyday use. But experimenting with a fisheye lens is a lot of fun. The only fisheye lens for the Sony Alpha 6000 so far comes courtesy of the Korean manufacturer Samyang. With an ultra wide-angle focal length of 8 mm and an aperture of f/2.8, you can almost capture a 180-degree section in your photos. We have this lens ourselves, but with a Nikon connector, and we like to use it now and again for special shots. It’s priced at around 300 euros. The Sony SEL30M35 is a great lens for getting into macro photography. At a price between 200 and 250 euros, it’s relatively cheap. The close-up limit is 9.5 cm. So you can get extremely close to your subject and take great detail or macro shots. 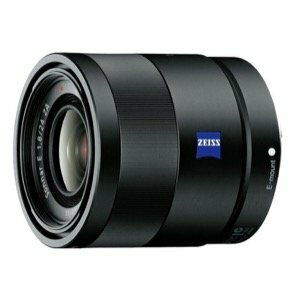 Which lens for the Sony Alpha 6000 would you recommend? 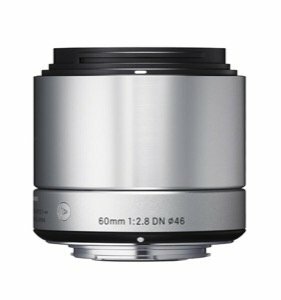 As you can see, the range of E-mount lenses for the Sony Alpha 6000 isn’t so small after all. Nowadays, there’s at least one lens for every area of application, and usually even several. Which lenses do you have for your Alpha 6000? We’d be thrilled if you could share your experiences with us in the comments below.